Post subject: Re: What did you do to your car today? Doing the same on the G8. 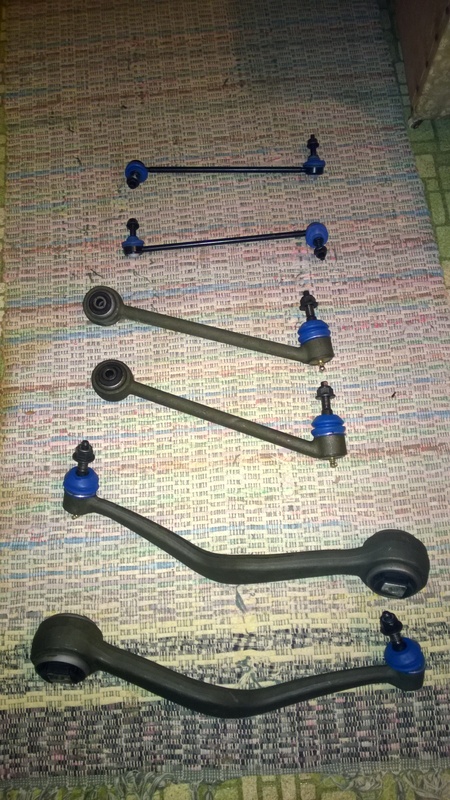 Once I got the struts in, I found the ball joint on the forward front LCA to be loose/wore (a known issue on them), and then my stabilizer end links, particularly the drivers side, is loose. So I ordered both of those, and all 4 front LCA's. The weather has been pretty decent here lately, so today I drove my Bonneville home from winter storage. Soon it will be on to the numerous parts I have to install. I changed the pinion seal on the GTO. Tomorrow I’ll be putting the exhaust back on. The plan is to get the wheels done and new tires on within the next two weeks. So, earlier this week, went out to the Suburban, hit unlock on the key fob, nothing. Figured it was the battery in the FOB so I replaced the battery went back out and again, nothing. It was late at night so I wasn't going to mess with it then and there. The next few days it still didn't work. So I was all ready to troubleshoot the RCDLR this morning. Go out hit the unlock button out of habit, and the RKE works. DaFuq?? Today I topped off the diff fluid and put the exhaust back on the GTO. I still have a small leak I need to tend to. I changed the oil too. Then I had a minor disaster with the Passat, had a STOP LOW COOLANT warning. Opened the reservoir and the car puked out a brown milkshake. I thought maybe it’s a head gasket issue but it looks like just the oil cooler failed. $30 part so I’ll be ordering that tonight. At least, at this time of year, you have two cars to use! If it's still coming from the pinion seal, give that nut another 1/8th to 1/4 turn or so. When I converted to the U-joint I replaced mine and going by spec, the *dang* thing leaked. So I got under there and tightened it another 1/4 turn and it hasn't since. Last edited by CMNTMXR57 on Mon Apr 08, 2019 2:26 pm, edited 1 time in total. Check valves allow it to only vent excess pressure from the crankcase. When I said small leak I meant the exhaust still leaks. But yeah I gave that pinion nut an extra 1/4 turn so fingers crossed I don’t have any issues when I actually start driving it again. Is it at the flange where the cat-back mates to the forward portion? Changed the light bulb on the console where the gear indicator is. I could not get the plastic cover off without breaking it. It looked like the previous owner had spilled soda in there and it was stuck on and would not budge. I then took out (4) torx screws that held the cup holder in. I then took out (4) 10mm nuts that holds the assembly down. After that I pulled the whole shift assembly out and turned out the bulb holder to change the bulb from the bottom. If I would have known it was that simple I wouldn't have wasted about 30 minutes trying to get the cover off without breaking it. I now know why Bonneville changed the heated seat buttons and the traction control button to the front of the dash. I can see people spilling soda or coffee onto the console and shorting out the seat or traction control buttons. Hope this helps someone in the future if they need to change that bulb. It is a lot better then breaking off the indicator needle and then having to replace that assembly. Yes. Except the PO had catless midpipes with what looks like aftermarket mufflers. When I got the slp headers they were just the headers so Matt and I cut the midpipes to fit the headers. 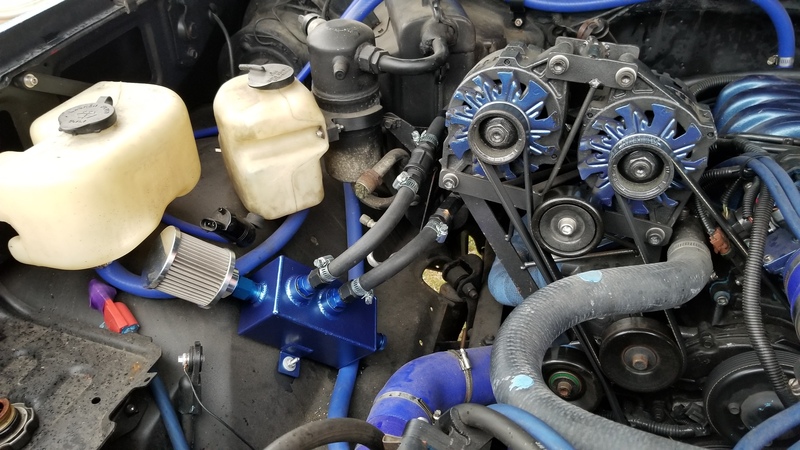 For some reason the flanges wouldn’t line up to save our lives so I cut the flanges off and used band clamps and this worked but not completely, I get a slight tick when I accelerate and it makes the car sound like an old truck. I think I need to get some stainless pipe and have the mad welder make something that can work. The bane of '04 GTO existence is that no aftermarket setup "fits" properly anywhere in the system. Traced the cause of my misfire to a defective ZZP coil pack that had been run for less than a year. Disappointing, but at least now my engine isn't suffering needlessly anymore. put about 300ml of coolant in rad: no leak, so I assume its the cap or trapped air. Installed a new Airtex fuel pump, only to find cylinders 1/6 misfiring upon entering boost (fine otherwise, fuel pump was causing hard starts and chugging if you went into boost so I had disconnected the boost bypass valve electrics to limit it, but I think it fouled the plugs anyway)...so...ordered new NGK TR5 plugs...it's Texas, thought I'd try one heat range colder than stock...and I'm not big on platinum or iridium plugs in these motors, so we shall see if it likes these TR5 copper V-power plugs. GXP Tails, Interior Door handles, Trim pieces etc. Installed my instrument cluster and radio today on my 2005SLE. Sent them out to Andrew who did a great job of rebuilding them. He turned them around in a week (4 days in transit). Nice to have all my gauges working and all the lights on my radio also working. Would not hesitate to send him clusters or radios again if need be. Great quality and quick turnaround at a fair price. put air in my doughnut /spare tire. Finally swapped the summer wheels back on the Passat and then took the wheels off the GTO, had tires dismounted and got the wheels ready for powdercoating. Installed new headlight bulbs this morning. I need to do this very soon. Just the radio though. It's going to be weird driving without music for week or two. where is this car today?